California is in its worst water drought since record keeping began in 1950. Snow from the Sierra Nevada supplies about a third of the state’s fresh water supply, and a lower snowpack means less water in California’s water reservoirs to meet consumer’s demands for the summer and fall. Where there should be about 5 feet of snow at this time of year, there is brown dead grass at Echo Summit. But, what does this mean for you? The citizens of California? The business owner, the farmer? 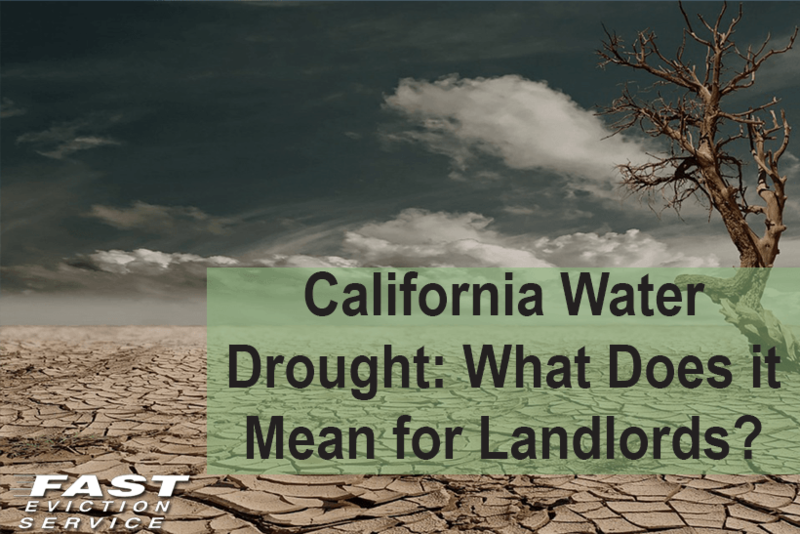 What does it mean for California landlords and tenants? Well, for starters, Jerry Brown has ordered a mandatory 25% cut back on water consumption in California. The order implements tiered water pricing that means the more water you consume, the more you’ll have to pay. Let’s say your lease includes the water bill and other utilities? As a landlord, do you trust your current tenants to consume water responsibly? How responsible are your tenants with their water usage? Do you have a lush garden or lawn that must be well watered to maintain? Do your tenants wash their cars and trucks with gushing amounts of water from a hose? Since the water bill is included in the rent, most likely than not, your tenant doesn’t care about how much water they consume. This could cut deeply into your monthly profits if your tenant is irresponsibly wasting water. Besides the mandatory water cut backs, local agencies have also been given the permission to fine up to 500 dollars a day for water wasters. This could also become a problem for you since neglected upkeep on say, your sprinkler system could fall under this category. California landlords must make difficult decisions in this time of crisis. Do you replace your lush natural gardens and lawns with turf or drought friendly landscaping? Looks are very important in this business, and if your rental property is not up to par, it will lack that important rentable factor. Is it an investment you’re willing to make? These are the type of investments you have to think about now if you are a landlord of any kind of rental property in California. Maybe consider making amendments to your lease agreements to not include the water bill in the rent, switching to artificial grass, and prohibiting the washing of cars on your premises. We must all do our part to converse water in these tough times in California including landlords taking a leadership role with their tenants.